Some Messi brilliance couldn’t stop Barcelona from extending their winless streak to four. 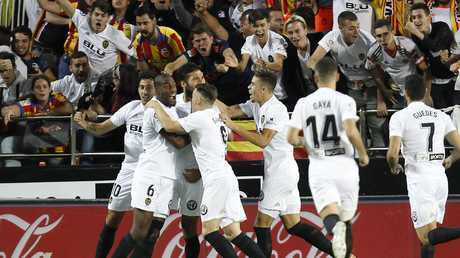 Lionel Messi helped to earn Barcelona a 1-1 draw at Valencia on Sunday, but not even his superb goal could stop the defending champions' winless streak from reaching four games in the Spanish league. 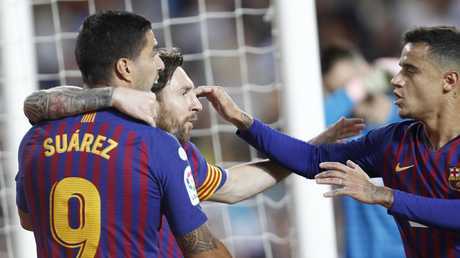 Messi cancelled out Ezequiel Garay's opener in the second minute with a goal in the 23rd that he conjured up while appearing hemmed in by two defenders. Messi slipped a pass to Luis Suarez between the legs of Geoffrey Kondogbia, Suarez used one gentle touch to lay the ball back into Messi's path and the Argentina forward scored with a left-footed strike from outside the area. Barcelona's most recent game had been an impressive 4-2 win over Tottenham in the Champions League on Wednesday, when Messi scored twice. Ezequiel Garay netted the opener for Valencia. Barcelona, however, couldn't end its poor league run. It previously drew 2-2 with Girona, lost 2-1 at Leganes and drew 1-1 with Athletic Bilbao. The latest setback left Sevilla atop the standings after it beat 10-man Celta Vigo 2-1. 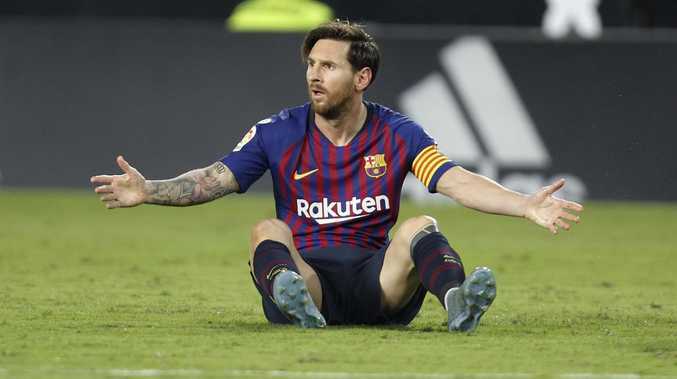 Barcelona is one point behind, along with Atletico Madrid, which edged Real Betis 1-0. Real Madrid is in fourth place after its 1-0 loss at Alaves on Saturday, when the European champions failed to score a goal for the fourth straight game overall.